I'm the kind of person who buys books on the regular. And in doing so I'm keeping tabs on some of my favorite authors to see what they have coming out. Because of this I have a huge list of books I will need to get my hands on as soon as they're released. A few of them I'll be reviewing, but I thought I'd give you advance notice of these books so you pre-order your copy today and have it delivered to you (via mail or electronically) on publication day. Affiliate links are provided throughout the post to facilitate your shopping experience. Sister Dear is so good. Just so very good. 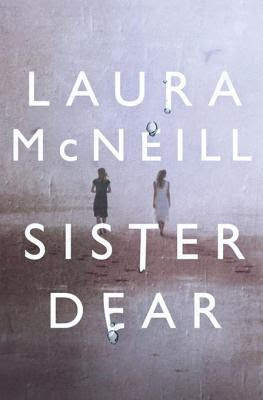 Laura McNeill has written a mystery that unravels in such a way that leaves you out of breath and stumbling, and yet, wanting so much more. We meet Allie Marshall as we start the book. Allie is just getting out of prison. She's a mom, a daughter, and, as you'd guess, a sister. Allie was arrested for murder. She was accused and convicted of murdering the town's football coach. Allie claims her innocence, even after all these years. But she's served her time just the same. And now she's out. And she wants to reunite with her daughter, Caroline. Caroline has been living with Allie's sister Emma, all this time. Emma - well - Emma is an interesting character. We see her true colors fairly early on, but we still don't know exactly what to expect. Between these three women and the town sheriff, we've got a lot of thought processes to follow. McNeill goes between them seamlessly and as the reader we truly enjoy all of their voices. Sister Dear is a must read this spring. 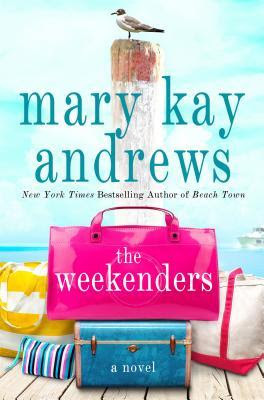 I've got my eye on the next release by Mary Kay Andrews. First of all - I just love her covers. I can't help it. They're just so bright and beautiful. And second? 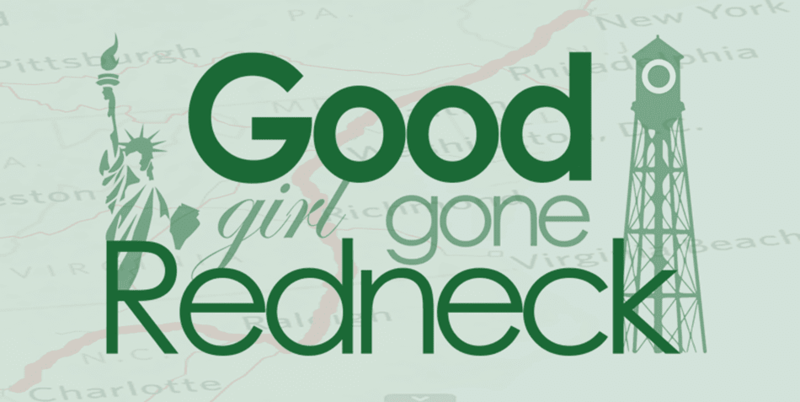 Well, maybe it's because it's set in North Carolina, but something about the story sounds so fun. Mystery, murder (!?! ), intrigue, relationships - all of that and an NC island getaway? Count me in, please. Normally I'd claim this would be a perfect summer beach read - but with a mid-May publication date scheduled I think it'd be sad to wait so long to read this one. Make sure you pre-order a copy so it's yours as soon as possible! Center Ring is Nicole Waggoner's debut novel and it's a delightful one. The cover. The concept. It's all a perfect fit. Admittedly, when I got to the end I was thinking, oh nooooo. I may have even said it out loud. It's a cliffhanger! And I know, I know, it says on the cover that it's volume number one. But not so fast! I had an e-copy so I missed that. Waggoner's book held enough weight that left me invested enough to need to see what happens next. 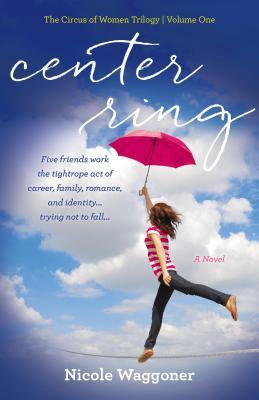 Told from the perspective of five women, Center Ring has a strong focus on friendships and relationships. You'll find yourself caught up in each storyteller's tale, questioning what it is about them draws you in. What characteristic is strongest in each woman? Which do you like best? Can you feel for them all? Which one are you in your circle of friends? And when you get to the end you simply need to know what happens next. You can't ask for much more when it comes to book one of three! Grab your copy today. You won't be disappointed. This looks to have the potential to be one of Scottoline's best novels. The story consists of a newly pregnant woman finding out that her sperm donor is a murderer. Hello? What? omg, right? Christine and her husband Marcus are unable to conceive. Dealing with infertility is difficult in and of itself, so turning to a sperm donor was a choice they undoubtedly do not make lightly. And then, a few months into her pregnancy, Christine notices a character on the news who bears a striking resemblance to their sperm donor. Yep. THAT's what they're dealing with. Can you even begin to imagine? It's a powerful storyline that draws you in at first glance. Or at least - that's what has happened here for me. I'm pretty sure I need this book in my life. Mysteries are my most recent favorite genre. This one looks as though it will not disappoint. 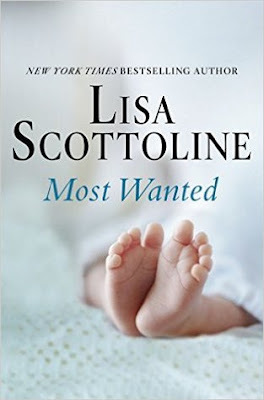 So, let's both grab a copy of Most Wanted today - because it comes out in a hot minute ... have a look! And then we can come back here and talk about it really soon. 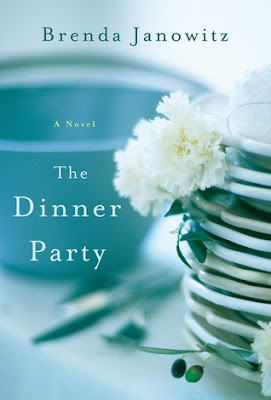 The Dinner Party caught my eye because the cover is so simple, elegant and pretty. I DO judge books by their covers. I can't help myself. Come on, admit it, you do it, too. There are a handful of books out or coming out soon that have to do with food - dinner - restaurants - bakeries - things like that. And they all have such beautiful covers I can't help but find myself interested. But The Dinner Party has a lot more substance than just a pretty cover. I'm drawn to the story because of the family dynamic and relationships, but I'm also excited because the dinner party is actually a Passover seder! And what fun that's going to be. This book comes out just in time for Passover, too, which Janowitz couldn't have planned any better! I'm sure it's going to be a lot more entertaining than most family seders, and I'm going to guess that you don't have to be Jewish to recognize the importance of the relationships represented at the table. I'm going to need to get myself a copy of this book before the holiday starts. So, there you have it. 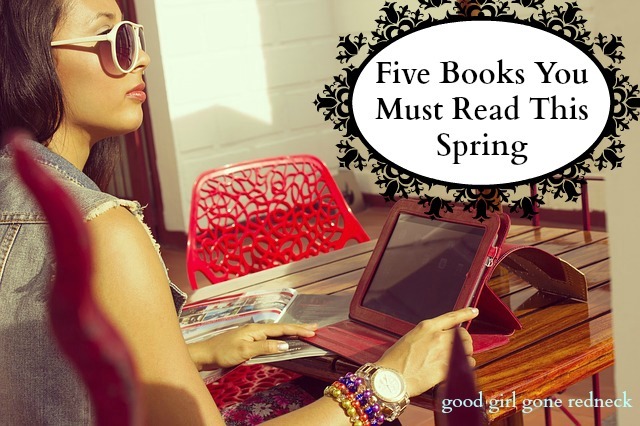 A handful of reads you're going to want to watch out for this spring. April and May are chock-full of delightful releases and I cannot wait. And if you're looking for more recs be sure to follow me on Facebook at facebook.com/goodgirlgonered because I'm constantly sharing books there and I also post incredible Kindle deals whenever I come across them. You can also have a look at what I've been reading - either over 2016 so far - or over several of the past years - in my Read With Me section. Be sure to come back by if you read any of these books so we can discuss them - or if you have some suggestions for me - to read or to add to my want-to-read list! Also - if you're looking for an immediate recommendation for a book that's out right now? Head on over to see why you need to purchase Lies and Other Acts of Love by Kristy Woodson Harvey. It's a must read. I, too, judge book by its cover. Without a doubt. Now I have even more books to add to my list of Must Reads. I think we have similar interests in books so I am loving your lists. Thanks so much! 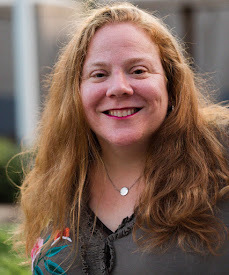 I met a new author that lives here in Connestee Falls, Adair Sanders and I LOVE her books. They are legal thrillers and she is an amazing author and meeting her is a bonus IMHO. I did get Lies and Other Acts of Love to read this week on the plane. See you soon! Yay! I'm reading Center Ring right now... or rather I've started it. I think it's gonna be a good one. Great book recommendations!!! And thanks for mentioning Lies and Other Acts of Love! I admit, I do love a beautiful cover as well. And I love a good book. I will be checking these out for sure! In the event you didnt know - I just started a page that showcases inexpensive books. Literary Gold You should check it out! Thank you for these suggestions! I am always looking for good books to read and these seem like great ones to put on my list. Fun! I will be adding THE Weekenders and The Dinner Party to my summer reading list. It's so funny that I should read this today because I just finished a discussion with someone else about picking books by their covers. I do this too and this other woman was shocked that I would pick books like this because "you should never judge a book by its cover". I am a very visual person so book covers are what catch my eye. I have found some awesome books and I'm sure that I may have missed a few with ugly covers. That's just me and I'm glad to see I'm not the only one! Pinning these sounds terrific! Even the texture of book covers have changed. I love everything about books! Hello there fellow North Carolinian! Just followed a link to your fabulous reading suggestions and realized we reside in the same state. Great suggestions, I can second the Sister Dear recommendation and have most of the others already on my radar :) Following you now so as not to miss more of your posts. Another outstanding set of recommendations. So many books so little time!!! These all sound interesting. Thanks for sharing! I am more into non-fiction but I might just check a couple of these out. Thanks for the recommendations. I just now finished up my last book and am looking for some good reads. This is such an approachable list. I have pre-ordered the weekenders. If you are ever looking for something darker and longer I recommend "A Little Life" Its epic and epically sad.